This is one of my favorite snack mixes because it is healthy and sweet. It satisfies adults and young children and everyone in between. Take it to a play date! It travels well so make a whole bunch ahead of time take it in the car, purse or gym bag. Make a batch to take to share at work and certainly let the kids take some to school in their lunch sacks. Pop a ribbon around the mason jar with a cute little gift tag and this even makes a pretty gift to give to brighten someone’s day! 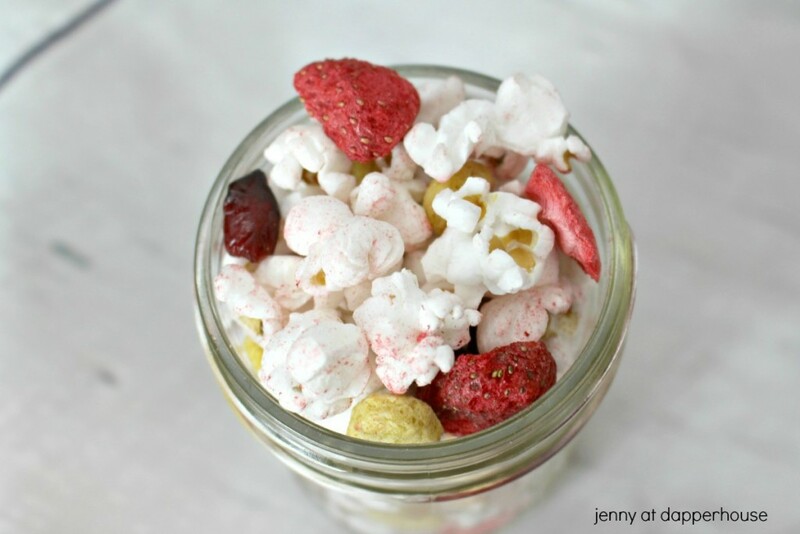 Here is how to make this Strawberry Banana Mason Jar snack mix for someone you love. Mix ingredients together in a bowl until evenly distributed. 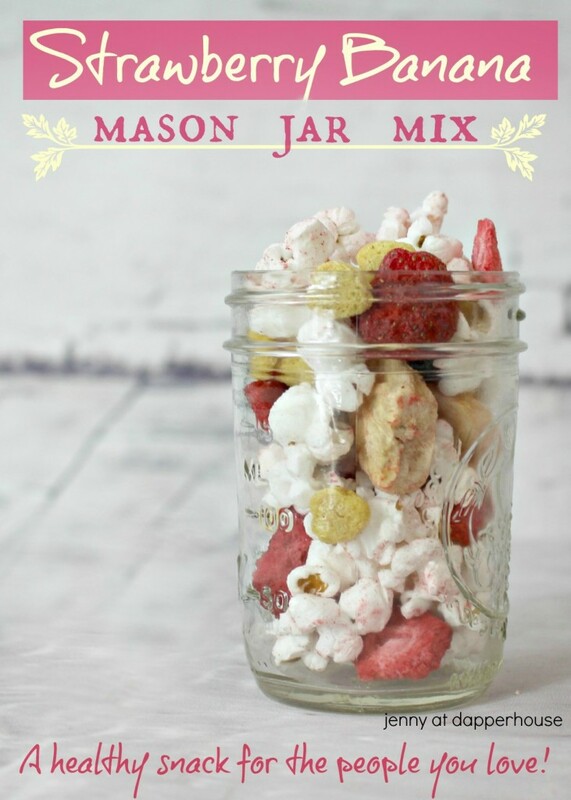 Fill mason jars and enjoy! TIP: Add your own mix ins to make it unique such as cashews, chocolate chips, dried pineapple and more! Fast & Easy Foods, little chefs, Recipes. permalink.